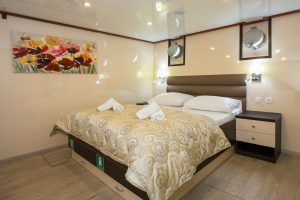 The deluxe MV Adriatic Princess was a brand new ship for the 2017 cruise season. 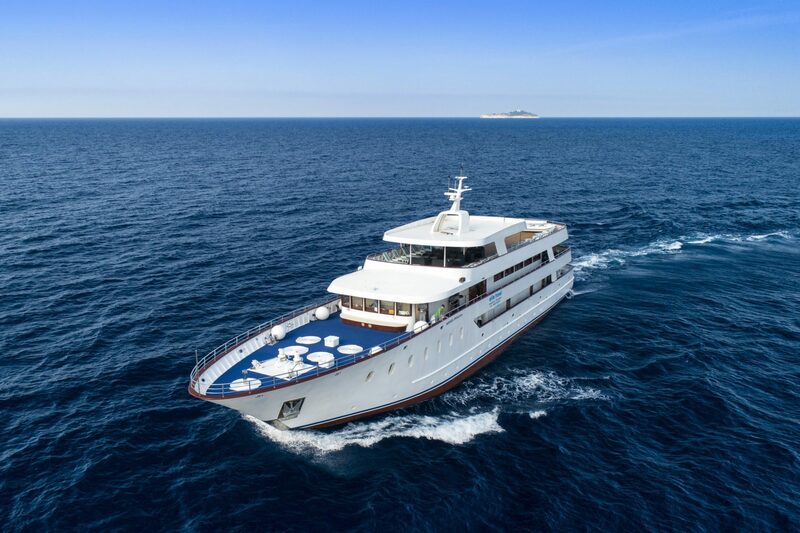 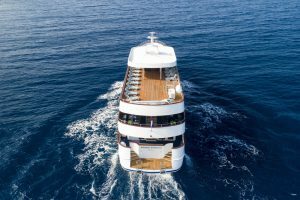 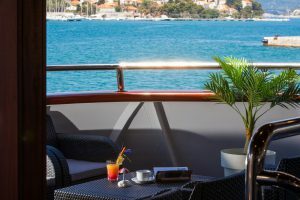 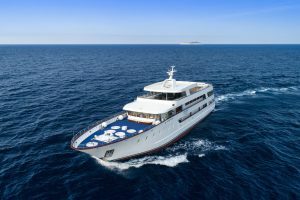 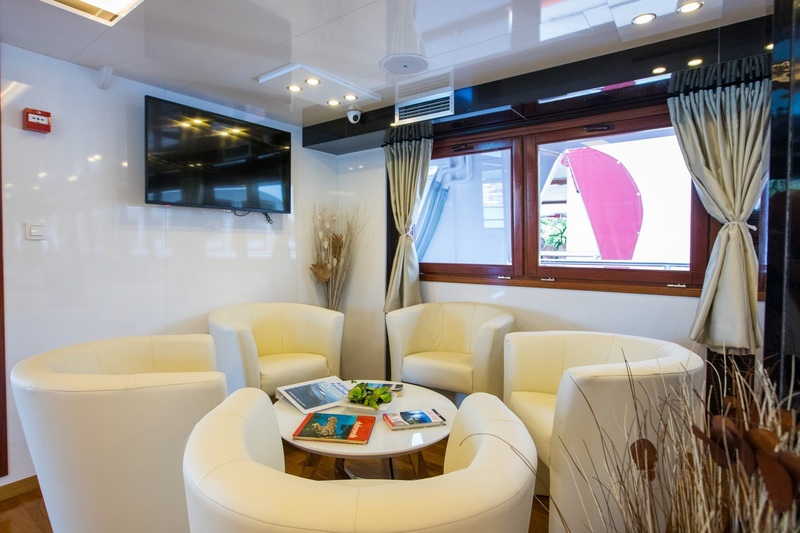 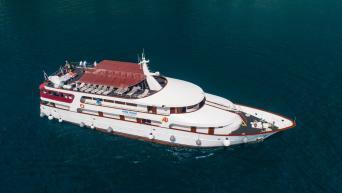 This sleek, modern motor yacht is the ideal choice for a cruise along Dalmatia’s scenic coast as its size allows it to berth in the many historic and atmospheric ports on the islands. 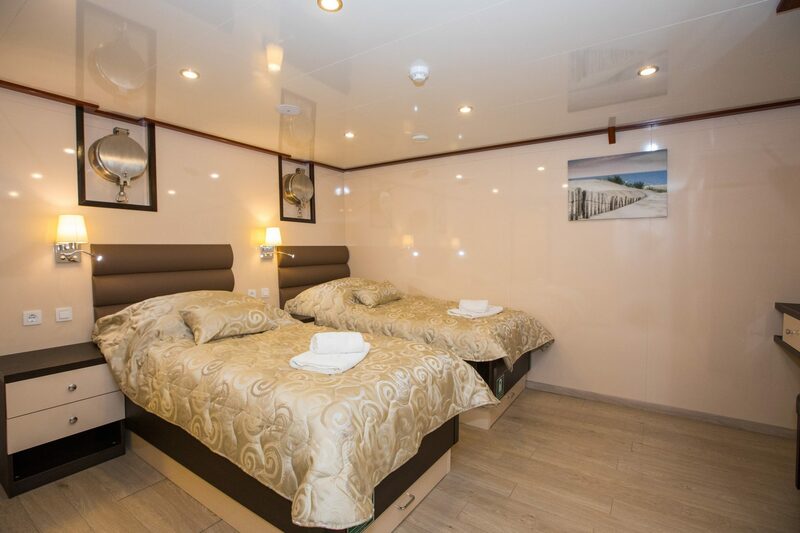 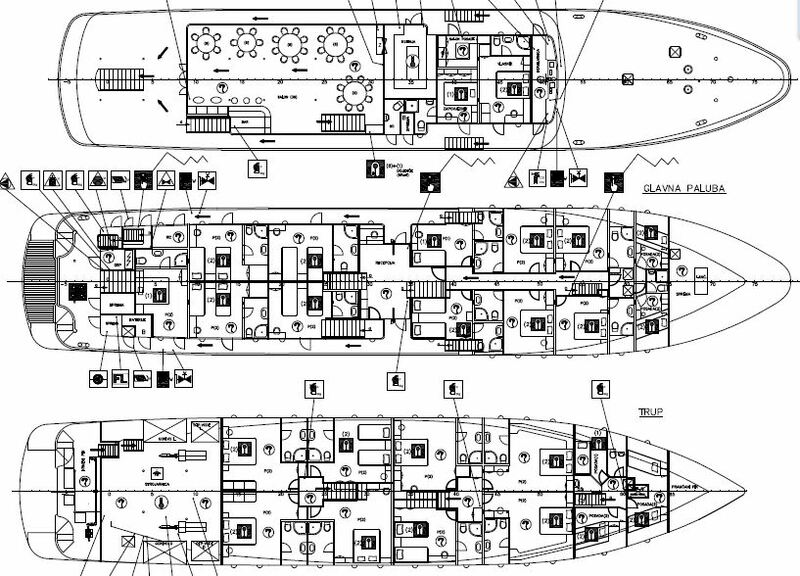 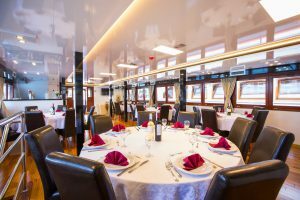 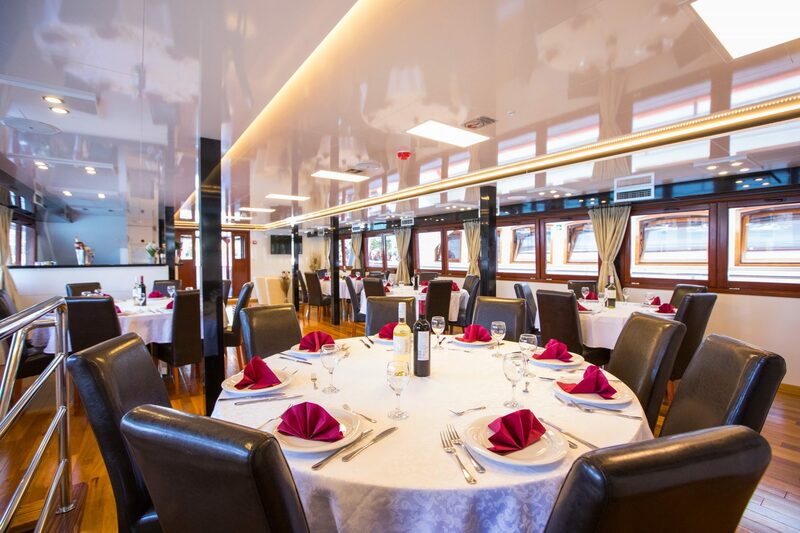 For your comfort the ship features just 18 very spacious, fully air-conditioned cabins, all with twin or queen-size beds and private ensuite bathrooms with shower, sink and toilet. Public spaces include an air-conditioned salon-restaurant and fully equipped bar, leading out to an alfresco lounge area with comfortable sofas to relax. 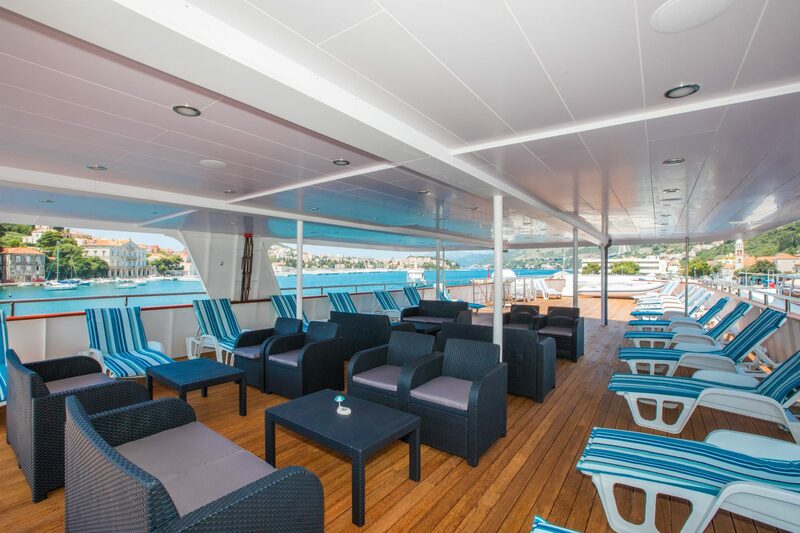 A large sun deck on top of the ship has room for all passengers to take in the ever changing panoramas of this magical region or relax and sunbathe on the provided sun-beds.